The much anticipated full year result of FBN Holding Plc, for the period ended December 31, 2018 hit the market on Friday April 12, 2019, as investors’ apathy greeted the holding company despite the 26 kobo dividend the board of directors proposed for shareholders. This was visible in the company’s share price that opened trading on the floor of Nigerian Stock Exchange (NSE) with N7.80 kobo, only to loss 30 kobo to close at N7.50 kobo on Friday, even as the company could not sustain its gross earnings growth which fell by 2.01 percent from N595.4 billion in 2017 to N583.5 billion in 2018. FBN Holding which is the last man standing among players in the financial service sectors to submit their financial result for 2018, was able to improve their profit before tax by 19.7 percent, from N54.5 billion in 2017 to N65.3 billion in 2018. Also profit after tax was a growth of 31.4 percent, from N45.5 billion in 2017 to N59.7 billion in the period under consideration. The company attributed the decline in revenue to a 7.5 percent decline in interest income on the back of a decrease in the loan book as well as the depressed yield environment which led to a decline in income from investment securities. 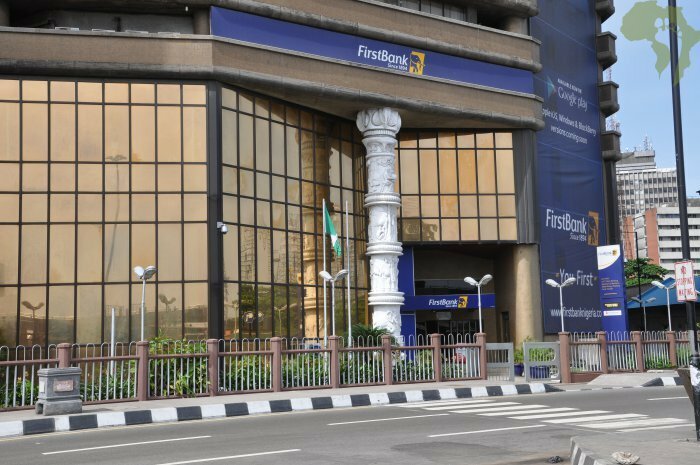 FBN Holding explained that the drop was partially offset by the 15.8 percent growth in non-interest income. Other highlight of the 2018 audited financial performance of FBN Holding shows that cost to income ratio was up by 63.4 percent above 54.0 percent that was recorded same period in 2017. The company noted that the weakened ratio is essentially driven by the constrained operating income from the moderated lending and the declining yield environment even as operating expenses remain below inflation. Impairment charge for losses declined by 42.2 percent to N86.9 billion against N150.4 billion in 2017, consequently, cost of credit risk decreased to 3.5 percent against 6.4 percent in 2017. Total assets increased by 6.3 percent to N5.6 trillion compared to N5.2 trillion in 2017. Total customer deposits grew by 10.9 percent to N3.49 trillion above N3.14 trillion recorded in 2017. The growth in deposits according to FBN Holding was driven by a 21.8 percent and 15.9 percent increase in current and savings accounts to N915.3 billion compared to N751.3 billion in 2017, and N1.2 trillion against N1.0 trillion respectively. In addition, domiciliary deposits grew by 20.6 percent to N583.5 billion above N484.0 billion in 2017. Commenting on the results, UK Eke, the Group Managing Director said: “Over the course of the 2017 – 2019 strategic cycles, the priority for management has been to strengthen the various businesses across the group and position for sustainable growth over the long term. Our three-pronged approach has primarily been to drive long-term revenue generation capabilities, overhaul risk management processes and drive efficiency across our businesses. He pointed out that “We have seen significant results in our revenue diversification aspiration, with improving digital banking offerings which have enhanced our non-interest income from the commercial banking group. Similarly, there has been steady growth in contribution to the revenue pool of the Group from the insurance business and the merchant banking business, helping to further reinforce the revenue generation capacity of the Group”.